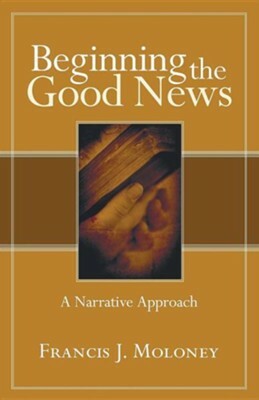 Beginning the Good News Francis Moloney provides a narrative critical reading of Mark 1:1-13, Matthew 1-2, Luke 1-2, and John 1:1-18 to illustrate that the readings of the Gospels set up a tension in the reader who learns from the beginning, but still cannot rest satisfied. The Gospels' beginnings promise the reader the great prize of understanding--later. Francis J. Moloney was formerly Foundation Professor of Theology at Australian Catholic University and is Professor Emeritus of the Theology and Religious Studies Department at the Catholic University of America, Washington, D.C. He is also the author of 'Glory Not Dishonor: Reading John 13-21', 'Signs and Shadows: Reading John 5-12', 'Belief in the Word: Reading the Fourth Gospel; John 1-4', and 'A Life of Promise: Poverty, Chastity, Obedience'. I'm the author/artist and I want to review Beginning the Good News.